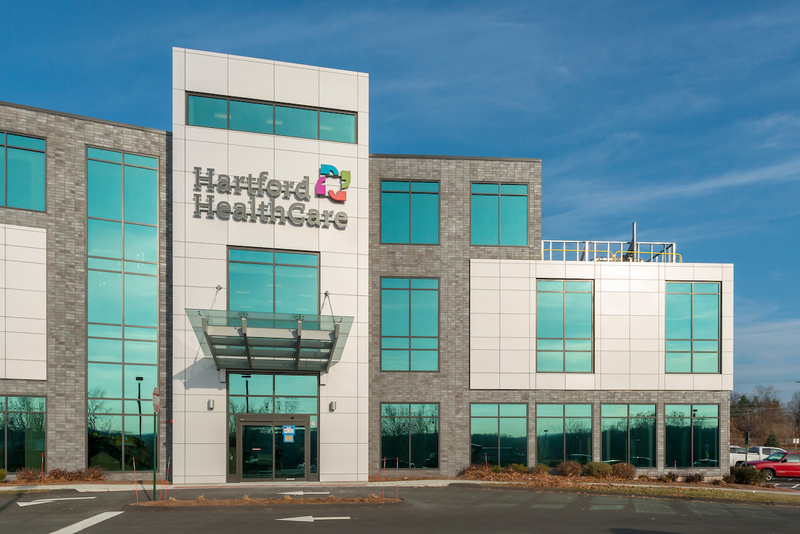 Seeking to bring high-quality healthcare closer to people east of Hartford, Hartford HealthCare this month opened a $10.4-million, three-story building focused on delivering advanced cancer services and treatment while including the care of general and thoracic surgeons and urologists. “We know that bringing comprehensive cancer services into the community allows us to do a better job caring for our patients, so we have been working to bring the most advanced oncology care possible to a new location east of the river,” explained Dr. Peter Yu, medical director of the Hartford HealthCare Cancer Institute. Located at 376 Tolland Turnpike, the new facility is 37,581 square feet and was developed with the patient’s comfort and convenience in mind. Hartford HealthCare physicians will provide multi-specialty care in state-of-the-art facilities on the second floor.